In March 2013, a new association of women was created that use improved and more efficient stoves for rock salt production. The association includes 22 women who are aware of threats on the forest due to collection of firewood for salt production, and decided to adopt the improved stoves. According to these women, cooking rock salt with the improved stoves is faster and uses less firewood, and the improved stoves are better at preventing dispersion of heat. 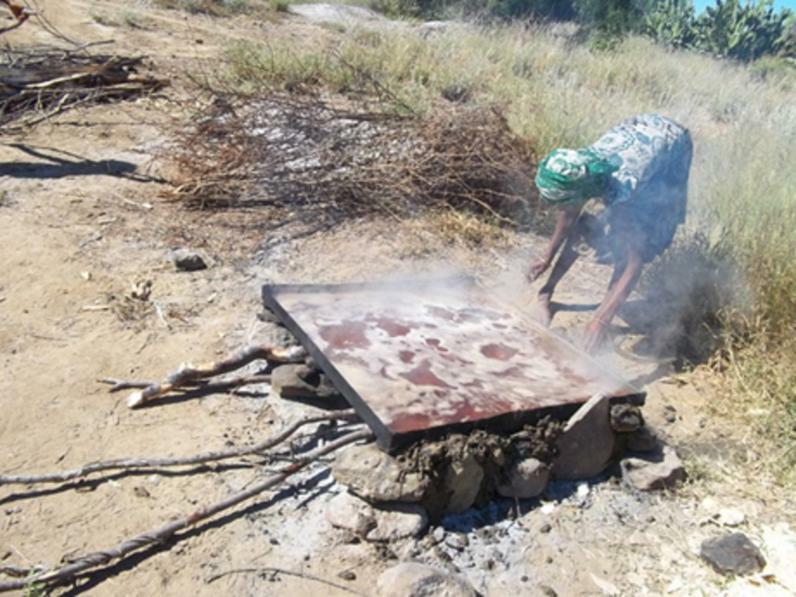 In addition, in a further attempt to minimize widespread forest use for firewood collection, the salt producers have designated fenced areas in the forest for their use, or have installed cooking plots inside reed areas. Only local materials are used to build the improved stoves. This includes stones and sludge made of cow dung or termite mounds. Despite preliminary favorable results, there remain many salt producers that haven’t switched to using the improved stoves. The next step is to organize outreach meetings outlining and demonstrating the benefits of the improved stoves for rock salt production and forest conservation.